Christy Chuang-Stein, Ph.D. Pfizer, Inc.
Dr. Christy J. Chuang-Stein is the Vice President, Head of Statistical Research and Consulting Center, Pfizer. She received her BS in Mathematics from the National Taiwan University in 1975 and Ph.D. in Statistics from the University of Minnesota in 1980. After working as an assistant professor of Oncology in Biostatistics and of Statistics at the University of Rochester from 1980-1985, she started her long career in pharmaceutical industry and rises to leadership positions over the years. Dr. Chuang-Stein has published 140 scientific papers that cover topics from adaptive designs, safety analysis in clinical trials, benefit-risk assessment, categorical data and quantal response analysis, cost-effectiveness analysis, missing data, active control (non-inferiority) studies, quantitative decision –making in drug development and development of new chemical entity, to training and development of pharmaceutical statisticians. Her publications received many awards, including three times the Donald E. Francke award for Overall Excellence in Journal Publishing from the Drug Information Association (2001, 2004, and 2009) and twice the Thomas W Teal Award for Excellence in Statistics Publishing from the Drug Information Association (2008 and 2010). She served as an associate editor for The American Statistician (93-99), Journal of Biopharmaceutical Statistics (00-02) and Encyclopedia of Clinical Trials (05-07); one of the three founding editor-in-chief of Pharmaceutical Statistics: The Journal of Applied Statistics in the Pharmaceutical Industry (02-05); a guest editor for a special issue of Drug Information Journal, and a member of editorial board of The Drug Information (since 1996). Dr. Chuang-Stein is a recognized leader in statistical community. Among many prominent leadership positions she served in her career, she was elected to the Vice President of the American Statistical Association from 2009 to 2011. She was the recipient of the ASA Founders’ Award in 2012 and the Recognition Award by the Clinical Leadership Committee of the PhRMA in 2004. She was an elected fellow of ASA (1998) and elected as a member Think Science Now 100 in Pfizer in 2009. She mentored many statisticians in pharmaceutical industry. The ICSA is honored to present the Distinguished Achievement Award to Dr. Christy J. Chuang-Stein, for her leadership and stewardship in international and industrial statistical communities including ASA and ICSA; for her outstanding advocacy of statistics to the society in the importance of statistics; for her significant contributions in drug development and statistical practice. Professor Kai-Tai Fang is the Director of the Institute of Statistics and Computational Intelligence, Beijing Normal University-Hong Kong Baptist University United International College (UIC). Professor Fang has a long and distinguished career. He worked in the Institute of Mathematics, Academia Sinica as assistant research (1967 - 1978) and as assistant professor (1978 – 1979), then in the Institute of Applied Mathematics, Academia Sinica as assistant professor (1979 – 1980), associate professor (1980 - 1986), and as a professor since 1986. He was the Deputy Director of the Institute of Applied Mathematics from 1984 to 1992. Professor Fang worked in the Department of Mathematics, Hong Kong Baptist University as a Reader (1991-1993), Chair Professor (1993 – 2006), Department Head (2003-2005), and an Emeritus Professor since 2006. Professor Fang has published 266 scientific papers, 20 books, 10 lecture notes and proceedings. His publications cover a wide range of research areas on multivariate analysis, experimental design, distribution theory, application of number-theoretic methods in statistics, data mining and its application to Chinese medicine. He involved organization of many international conferences as chairs/members of scientific committees. He has served as associate editor-in-chief for Acta Math Applied Sinica and editorial board for Journal of Multivariate Analysis, Statistics Sinica, International Statistical Review, Statistics and Probability Letters, Acta Math Applied Sinica, Chinese Journal of Applied Probability and Statistics, Journal of Mathematical Research and Exposition, Northeastern Mathematical Journal, Mathematics in Economics, Mathematical Statistics and Applied Probability and Statistics and Information Forum. He was the editor-in-chief for book series: “Modern Applied Mathematics Methods”. He is the editor-in-chief for book series: “Statistics Textbook Series for Higher Education”. Professor Fang’s high influence research has earned him many prestigious awards, including the 2008 The Chinese State Natural Science Award at the Second Level with Professor Yuan Wang. Professor Fang is an elected fellow of ASA and IMS, and an elected member of ISI. 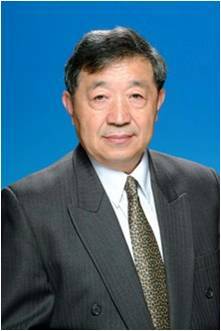 Professor Fang served ICSA Board during 1990-1994 and editorial board of the Statistics Sinica (1993-1999 and 2005-2012), member of organization committees for the 5th and 6th ICSA International Conferences. As an excellent teacher and pioneer statistician in the Mainland China after the Culture Revolution, Professor Fang has made profound influences on many statisticians. The classic book by Professors Y.T. Zhang and K. T. Fang in 1982, An Introduction to Multivariate Analysis, was wildly read and reprinted in 1999 and 2003, 20 years after its first publication. Professor Fang was thesis adviser for many Ph.D. and master students, many of whom later became international leaders in statistical fields. He received many prominent teaching awards over his career. The ICSA is honored to present the Distinguished Achievement Award to Professor K. T. Fang for his broad and significant contributions in statistical theory and applications, his dedication and excellence in teaching statistics and fostering young statisticians, and his long and distinguished services to profession.